If you are not 100% satisfied with the incredible performance of the Z 585 or Z 785 Driver, return it to the store where you purchased it and get a full refund or shop credit: No Questions Asked. All 2018 Z Series Drivers will be accepted for return regardless of condition, no questions asked. This offer applies to both stock and custom options. Offer strictly valid when purchasing through Srixon.com or at participating retailers. To redeem, return the drivers to the store where you purchased it. 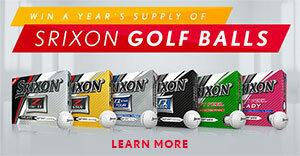 To find a retailer near you, go to www.srixon.com/us/stores. If you purchased directly through Srixon.com, your credit card will be refunded the full value of your purchase. If you purchased through a participating retailer, be sure to check with them on their policy for executing the refund. This will most likely come in the form of store credit or a gift card. Guarantee is valid only on purchases made from August 27, 2018 – March 31, 2019.